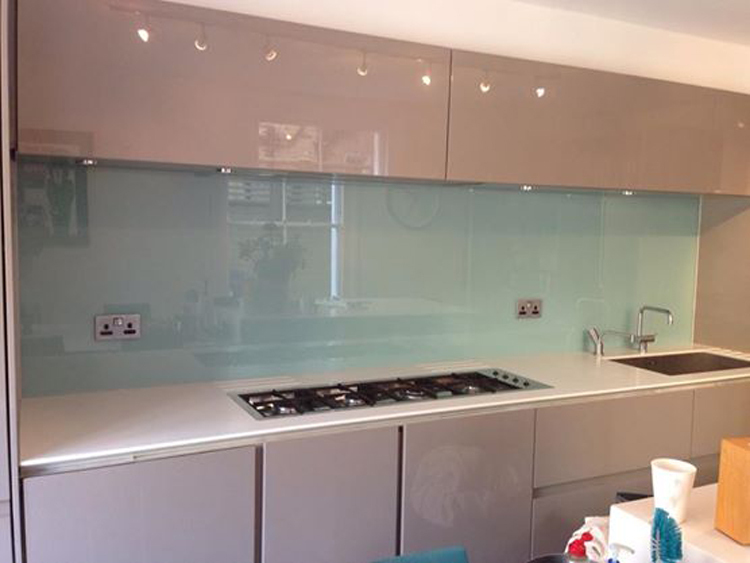 Our colored kitchen splashbacks, all produced using toughened glass, are exceptionally useful to prevent stains in kitchens. At Southern Toughening Glazing Ltd, Holloway, our palette of great shades offers numerous alternatives, from off-white and cream to blues and pinks, or reds and greens. White, cream or dark Shaker-style kitchens are constantly popular. 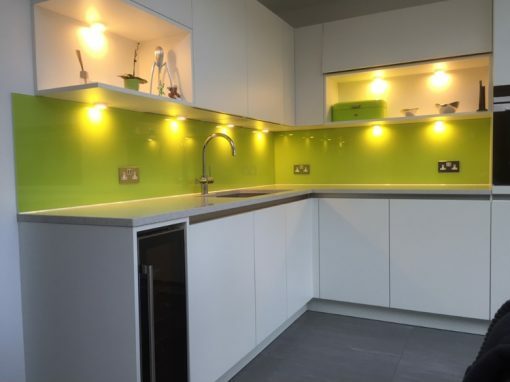 Splashbacks are more often used in subtler shades but some people would also prefer bolder colors which equally give the kitchen more character and intrigue. 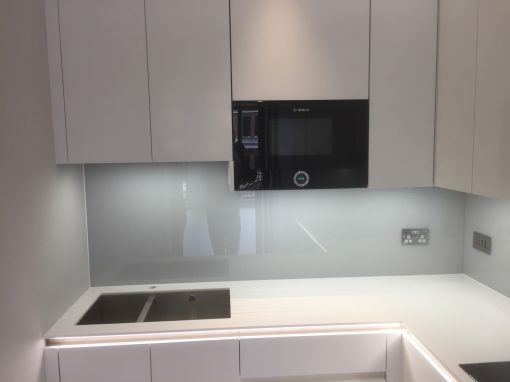 Subtle colored glass will enable the designer to fit the splashback into the already existing theme of the kitchen, without making the splashbacks a focal point. On the other hand, brightly colored glass also holds its advantages such as the fact that it brings a feeling of intrigue. If you’re going for a truly glam look in your new kitchen, then we do have a great variety of colors that are perfect for you. 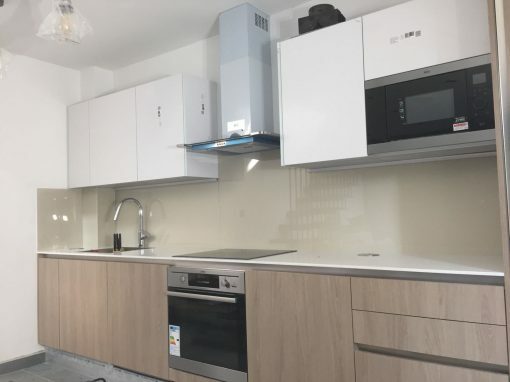 You can often find clients go for our colored glass with shades of white, while others are naturally inclined to pick darker hues, others yet, love to have it glossy. 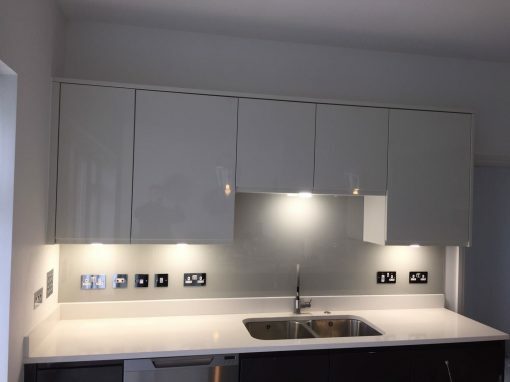 Every option here is considered great by us, it all depends on the client’s personal taste and we have a team of experts here at Holloway, ready to help you make a great decision.